A destructive category 5 hurricane, Hurricane Hugo struck Guadeloupe, Montserrate, St. Croix, Puerto Rico, South Carolina, and North Carolina during the 1989 Atlantic Hurricane season. 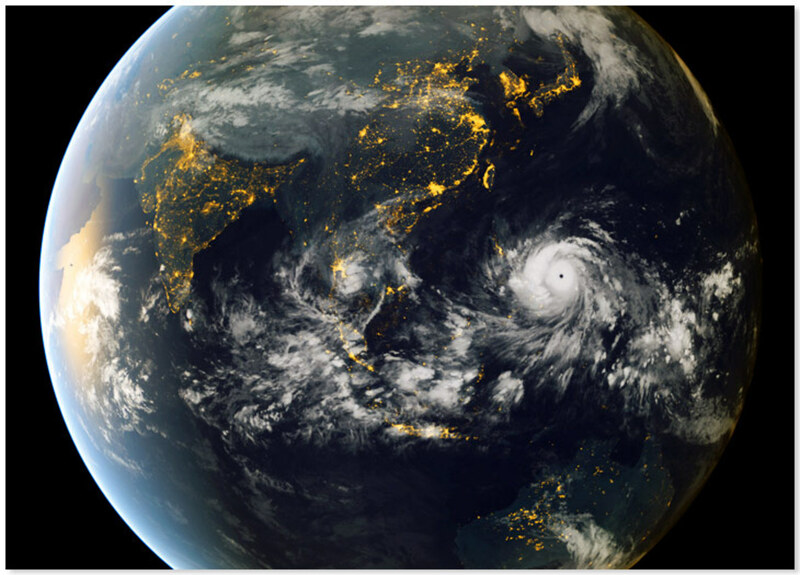 This is the first category 5 hurricane on this list from the last few decades and is included in order to show just how far hurricane preparation technology has come. By 1989, the government was more than capable of accurately tracking hurricanes, and of warning people of their danger in mere minutes. Hurricane Hugo is also included to show that, with or without the technology to track and prepare for hurricanes, they can still be devastating. Too much hurricane preparedness is rarely enough. Ironically, Savannah, Georgia, while evacuated early in anticipation of Hurricane Hugo, actually saw no major hurricane damages whatsoever. Really, Savannah experienced little more than a few isolated sprinkles. 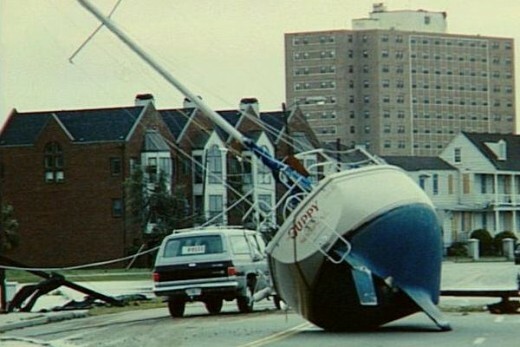 If Hurricane Hugo had hit Savannah, it would have been the first major hurricane to have made landfall in Georgia since 1898 when Storm 7 struck the state. Similarly, Carroll Campbell, then Governor of South Carolina, ordered an evacuation of the coastal cities of the state early on in anticipation of the storm. 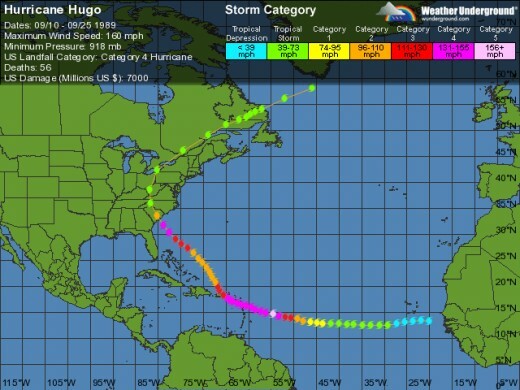 Hurricane Hugo began as a cluster of thunderstorms moving off the coast of Africa on the 9th of September. Moving westward, Hurricane Hugo continued to intensify into Tropical Storm Hugo on the 11th of September, and became a hurricane on the 13th, two days later. Hurricane Hugo then reached peak intensity while some miles to the east of Puerto Rico. Hurricane Hugo then began moving in a north by northwest direction, intensifying along the way. On the 17th of September, the eye of the storm sat over Guadeloupe. Hurricane Hugo then continued north by northwest and, on the 19th of September, was located in the northern territories of Puerto Rico. 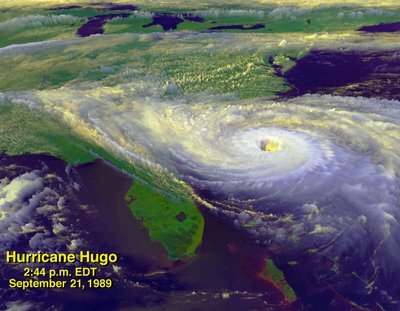 From there, Hurricane Hugo moved to the northwest, making landfall upon the Isle of Palms in South Carolina as a category 4 hurricane on the 22nd of September. The storm moved further inland, and weakened into a tropical storm later in that day. The storm then lost strength further while still moving inland and, on September 23rd, essentially dissolved. 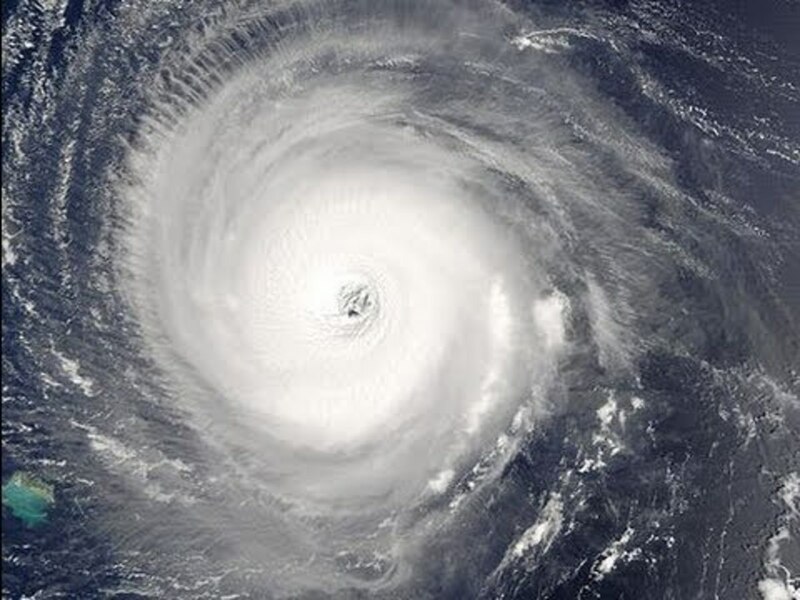 Hugo caused total hurricane damages of seven billion dollars in the mainland United States, or, estimating for 2009, about twenty seven billion dollars US. This was the costliest hurricane in US history, exceeded three years later in 1992 by Hurricane Andrew. It is, today, the sixth costliest hurricane in US history. Some three billion in hurricane damages were reported throughout the Caribbean, making for total damages of ten billion dollars US in 1989. 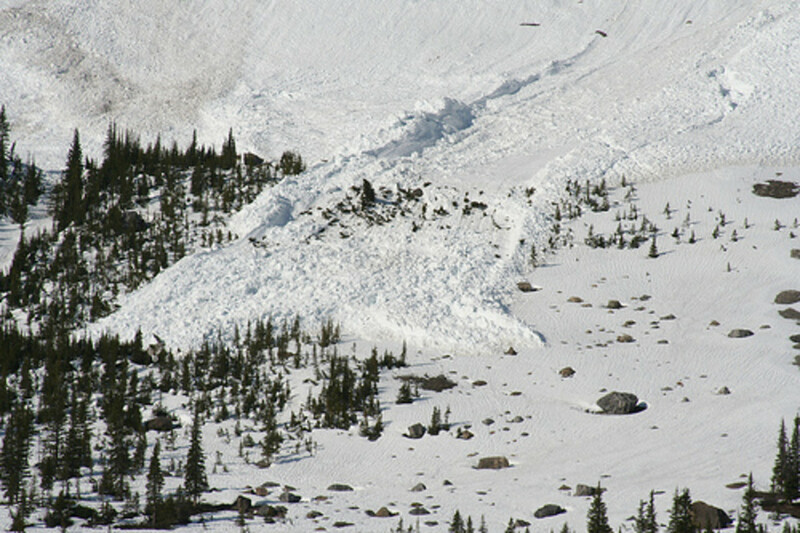 It is unclear exactly how many lives were claimed by the storm, but the American Meteorological Society puts the figure at forty nine, while others claim fifty six, and some government agency sources claim only thirty two deaths within the United States. In Guadeloupe, extensive hurricane damages were experienced in Grande-Terre, with anywhere from ten to twenty thousand homes destroyed, and thirty percent of all buildings experiencing major damages. Banana crops were destroyed entirely, and sugarcanes suffered about sixty percent in damages. In the United States, the hurricane was linked to some three thousand tornadoes across South Carolina. Much as they were during Hurricane Katrina, FEMA were heavily criticized for their slow response, with Senator Fritz Hollings famously referring to them as “a bunch of bureaucratic jackasses” while delivering a speech to the US Senate. And, here’s an interesting piece of trivia on the storm. The heavy metal band, Pantera, were discovered by Mark Ross, representative of Atco Records, thanks to Hurricane Hugo. Mark Ross was forced to stay in Texas during the storm due to cancelled flights, and decided to take in a show while he was there. He saw Pantera perform and immediately signed them, recording their debut album Cowboys from Hell later that year. The storm is also featured in the video game SimCity 2000, released in 1993. 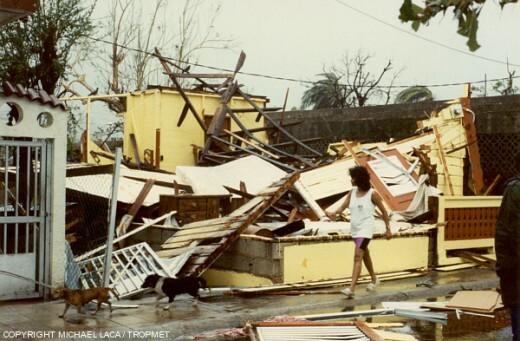 The Caribbean saw severe hurricane damages, while St. Croix saw massive looting and civil unrest, which prompted then US president George HW Bush to send troops into the city. This was known as Operation Hawkeye, and was the first operational deployment of the NDMS, or National Disaster Medical System, in the form of the New Mexico 1 Disaster Medical Assistance Team, or DMAT, deploying to assist in the medical needs on the islands. After the storms, the Salvation Army and Red Cross, as well as various churches, sent relief for the affected areas. Furthermore, George HW Bush’s federal assistance set a precedent for how the US would respond to similar disasters in the future. Military police were patrolling the island of St. Croix for some months after the storm, enforcing a strict curfew. Cargo planes delivered food, water and mobile hospital unites, while offering evacuation flights to anyone wishing to leave the island and head to the mainland. As of 2009, several parts of Christiansted, the island’s eastern city, remain in ruins. Hurricane Shutters:Which are Right for You? remember the creator is the one and only unique in this world so america dn all those powerful countries arent that powerful actually. 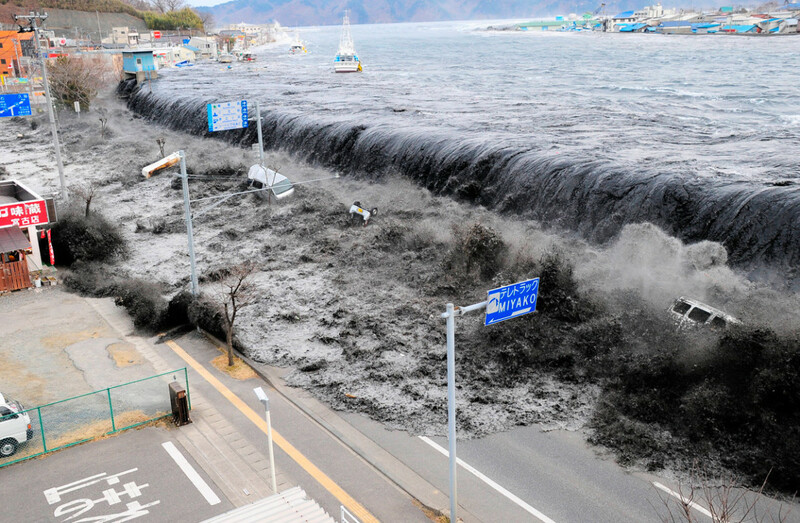 It's amazing how nature works and mother nature is always there to remind us who is still the boss. I was installing a system on a submarine just after Hugo hits. The crew still a some people out trying to get back to base.